• Quality, safety, and efficacy are designed or built into the product. Here are the details of Validation Protocol & Report Format + Types PDF PPT . 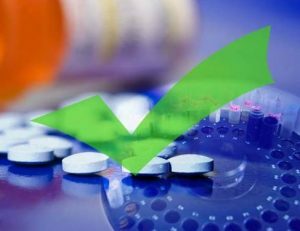 Analytical validation seeks to demonstrate that the analytical methods yield results which permit an objective evaluation of the quality of the pharmaceutical product as specified. The person responsible for the quality control laboratory should ensure that test methods are validated. The analytical devices used for these tests should be qualified and the measuring instruments used for the qualification should be calibrated. Each new test procedure should be validated. Process validation is defined as the collection and evaluation of data, from the process design stage through commercial production, which establishes scientific evidence that a process is capable of consistently delivering quality product. 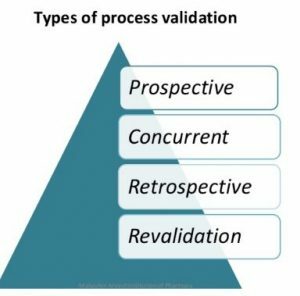 Process validation involves a series of activities taking place over the lifecycle of the product and process. This guidance describes process validation activities in three stages. • Stage 1 – Process Design: The commercial manufacturing process is defined during this stage based on knowledge gained through development and scale-up activities. • Stage 2 – Process Qualification: During this stage, the process design is evaluated to determine if the process is capable of reproducible commercial manufacturing. • Stage 3 – Continued Process Verification: Ongoing assurance is gained during routine production that the process remains in a state of control. 1 Do you know How To Write a Validation Protocol & Report? Do you know How To Write a Validation Protocol & Report? The validation protocol and report may also include copies of the product stability report or a summary of it, validation documentation on cleaning, and analytical methods. Depending on when it is performed in relation to production, validation can be prospective, concurrent, retrospective or revalidation (repeated validation). Prospective validation is carried out during the development stage by means of a risk analysis of the production process, which is broken down into individual steps: these are then evaluated on the basis of past experience to determine whether they might lead to critical situations. Where possible critical situations are identified, the risk is evaluated, the potential causes are investigated and assessed for probability and extent, the trial plans are drawn up, and the priorities set. The trials are then performed and evaluated, and an overall assessment is made. If, at the end, the results are acceptable, the process is satisfactory. Unsatisfactory processes must be modified and improved until a validation exercise proves them to be satisfactory. This form of validation is essential in order to limit the risk of errors occurring on the production scale, e.g. in the preparation of injectable products. Concurrent validation is carried out during normal production. This method is effective only if the development stage has resulted in a proper understanding of the fundamentals of the process. The first three production-scale batches must be monitored as comprehensively as possible.1The nature and specifications of subsequent in-process and final tests are based on the evaluation of the results of such monitoring. 1 This careful monitoring of the first three production batches is sometimes regarded as prospective validation. Concurrent validation together with a trend analysis including stability should be carried out to an appropriate extent throughout the life of the product. Retrospective validation involves the examination of past experience of production on the assumption that composition, procedures, and equipment remain unchanged; such experience and the results of in-process and final control tests are then evaluated. Recorded difficulties and failures in production are analysed to determine the limits of process parameters. A trend analysis may be conducted to determine the extent to which the process parameters are within the permissible range. Retrospective validation is obviously not a quality assurance measure in itself, and should never be applied to new processes or products. It may be considered in special circumstances only, e.g. when validation requirements are first introduced in a company. Retrospective validation may then be useful in establishing the priorities for the validation programme. If the results of a retrospective validation are positive, this indicates that the process is not in need of immediate attention and may be validated in accordance with the normal schedule. For tablets which have been compressed under individual pressure-sensitive cells, and with qualified equipment, retrospective validation is the most comprehensive test of the overall manufacturing process of this dosage form. On the other hand, it should not be applied in the manufacture of sterile products. Revalidation is needed to ensure that changes in the process and/or in the process environment, whether intentional or unintentional, do not adversely affect process characteristics and product quality. • Revalidation after any change having a bearing on product quality. • Periodic revalidation carried out at scheduled intervals. Revalidation after changes. Revalidation must be performed on introduction of any changes affecting a manufacturing and/or standard procedure having a bearing on the established product performance characteristics. Such changes may include those in starting material, packaging material, manufacturing processes, equipment, in-process controls, manufacturing areas, or support systems (water, steam, etc.). Every such change requested should be reviewed by a qualified validation group, which will decide whether it is significant enough to justify revalidation and, if so, its extent. • Changes in the starting material(s). Changes in the physical properties, such as density, viscosity, particle size distribution, and crystal type and modification, of the active ingredients or excipients may affect the mechanical properties of the material; as a consequence, they may adversely affect the process or the product. • Changes in the packaging material, e.g. replacing plastics by glass, may require changes in the packaging procedure and therefore affect product stability. • Changes in the process, e.g. changes in mixing time, drying temperature and cooling regime, may affect subsequent process steps and product quality. • Changes in equipment, including measuring instruments, may affect both the process and the product; repair and maintenance work, such as the replacement of major equipment components, may affect the process. • Changes in the production area and support system, e.g. the rearrangement of manufacturing areas and/or support systems, may result in changes in the process. The repair and maintenance of support systems, such as ventilation, may change the environmental conditions and, as a consequence, revalidation/requalification may be necessary, mainly in the manufacture of sterile products. • Unexpected changes and deviations may be observed during self-inspection or audit, or during the continuous trend analysis of process data. Periodic revalidation. It is well known that process changes may occur gradually even if experienced operators work correctly according to established methods. Similarly, equipment wear may also cause gradual changes. Consequently, revalidation at scheduled times is advisable even if no changes have been deliberately made. The decision to introduce periodic revalidation should be based essentially on a review of historical data, i.e. data generated during in-process and finished product testing after the latest validation, aimed at verifying that the process is under control. During the review of such historical data, any trend in the data collected should be evaluated. In some processes, such as sterilization, additional process testing is required to complement the historical data. The degree of testing required will be apparent from the original validation. • Have any changes in master formula and methods, batch size, etc., occurred? If so, has their impact on the product been assessed? • Have calibrations been made in accordance with the established programme and time schedule? • Has preventive maintenance been performed in accordance with the programme and time schedule? • Have the standard operating procedures (SOPs) been properly updated? • Have the SOPs been implemented? • Have the cleaning and hygiene programmes been carried out? • Have any changes been made in the analytical control methods?